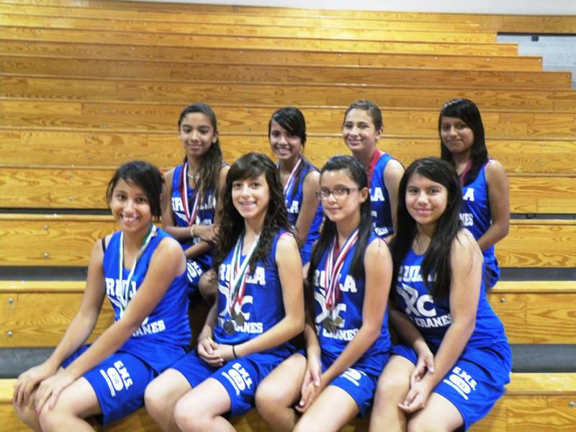 The Grulla Middle School 8th Grade Cross Country Girls were named the District Champions for 2010. Their most recent meet was held in Zapata where Yasmin Rangel came in 1st. Congratulations on a job well done and kudos for earning the district title. Pictured left to right are; Bottom Row- Itzi Rodriguez, Neyla Pena, Yasmin Rangel, and Crisselda Lopez. 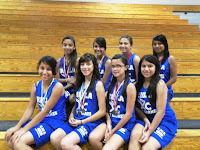 Top Row- Jenny Segura, Deanne Alaniz, Michelle Salazar and Mireya Zarazua. Not pictured is Liza Cruz.